The threat of deportation or detention looms over homeless Europeans in the UK. While Britain’s exact departure date is unclear, charities fear no amount of extra time will help thousands of homeless Europeans prepare the paperwork and complete the procedures needed to stay on legally in the country they now call home. “Everybody is worried about Brexit,” said Piotr, a 39-year-old Pole who lives on the streets of Northampton in central England. “I want to stay in England, it’s a fantastic country for me and the problem (of having no place to live) at the moment is because I couldn’t find work,” said Piotr, who preferred not to give his full name in a phone interview. Piotr, whose family is in Poland and Germany, said he was “unhappy” on the streets and wanted to contribute to society. “I want to stay legal in England," he said. A report by public policy consultancy WPI Economics — commissioned by national homelessness charities — said homeless EU citizens were a “key group” who risked new difficulties. “Whatever happens with Brexit, it’s going to be a real challenge for homelessness,” said Matthew Oakley, director of WPI Economics and author of the report. There is no consensus for the number of homeless people but a government snapshot showed that some 1,000 EU nationals slept rough in England on any given night last year, or one in five of England’s entire homeless tally. Homeless charities say total figures could be much higher, taking into account the ‘hidden homeless’ — people who sofa surf, use temporary housing, or sleep on transport. Europeans who arrived in the country before March 29 must apply for "settled status", which will require paperwork and proof of identity that lawyers say many homeless people lack. “Anyone who isn’t able to regularise their status by the deadline...could be thrown into detention or face deportation,” said Zoe Gardner, policy advisor at JCWI, a legal charity that promotes immigrants’ rights. Campaigners say Britain’s push for tighter border controls and a crackdown on illegal immigration has created a "hostile environment" for immigrants and fueled anti-EU sentiment. “The story of the EU homeless in the UK is one that should be a national scandal,” said Robin Burgess, chief executive of Hope Centre, an English homelessness charity. Burgess said hundreds of EU citizens lived in “unimaginable squalor” with growing resentment from locals who believe housing should be reserved for Britons. He fears Brexit could lead to further division, with EU nationals most likely to suffer. “They say they may take their chances – but most have no real grasp of what may happen,” Burgess said. “They (Europeans) remain deeply suspicious and concerned that the British government will...find a way to deport them after Brexit,” said Jean Demars, one of the legal team that brought the 2017 case against the government. “We have always been clear that we want EU citizens to stay,” a spokesman told the Thomson Reuters Foundation. The government’s EU Settlement Scheme fully opened on March 29, with more than 50,000 applications made during the opening weekend, according to the government. Reporting by Adela Suliman; editing by Lyndsay Griffiths. 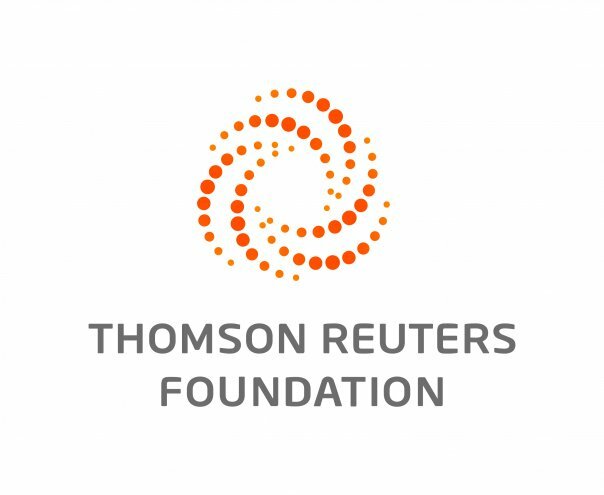 Please credit the Thomson Reuters Foundation, the charitable arm of Thomson Reuters, that covers humanitarian news, climate change, women's and LGBT+ rights, human trafficking and property rights. Visit news.trust.org for more stories. Our Standards: The Thomson Reuters Trust Principles.